Are you like for a powerful, nutrient dense, great tasting meal or snack without all the calories, and bad sugar? Well here is one of coach Heathers delicious favorites! Chia seeds: might be tiny, but boy do they pack a ton of nutrition! In a one ounce serving, you get 11 grams of fiber, 4 grams of protein, and lots of calcium and other vitamins. I love to add them to my oatmeal or smoothies to amp up the health factor! Almond Milk: Made from ground almonds and is lower in calories than other milks as long as it is UNSWEETENED. It’s also free of cholesterol, saturated fat, and is naturally lactose free. Even though almonds are a good source of protein, almond milk is not. Almond Milk is also not a good source of calcium. Cacao: This Mayan superfood is chocolate in its purest form. Cacao is nature’s number one weight loss and energy boosting tool. Raw cacao supports heart function and contains the highest concentration of antioxidants of any food in the world! It helps balance blood sugar and oxygenates the blood. Cacao is extraordinarily rich in magnesiuym, chromium, iron, manganese, phosphorus, zinc, and copper. It is so rich in these minerals that it could be considered a mineral supplement. Cacao has been shown to improve mood, bone strength, and provides anti-cancer and immune-boosting protection. Studies have shown that cacao makes tryptophan more available to the body, which helps the brain make serotonin, relieving stress, anxiety, and agitation in the brain. Cacao also regulates mood, normalizes appetite and digestion, induces restful sleep, and relieves pain. 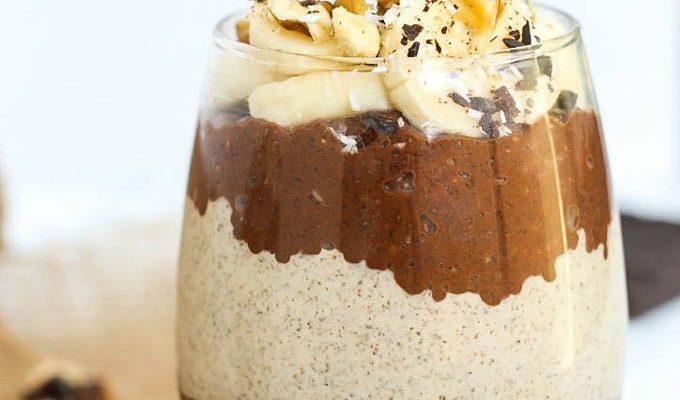 A bowl of Peanut Butter Cup Chia Seed Pudding will have you feeling like you’re eating candy. This chocolatey recipe makes a meal, or snack! In a medium bowl, add 5½ tablespoons chia seeds, 1⅓ cups milk, cocoa powder, 1-2 tablespoons maple syrup, 1 teaspoon vanilla, and ¼ teaspoon salt. Whisk until all ingredients are combined. In a small bowl, add 2½ tablespoons chia seeds, ⅔ cup milk, peanut butter, 1 tablespoon maple syrup, ½ teaspoon vanilla, ⅛ teaspoon salt, and cinnamon. Whisk until all ingredients are combined. To arrange, scoop desired amount of chocolate chia seed pudding into a cup or bowl, top with a scoop of peanut butter chia seed pudding, then another chocolate layer. Top with whatever you’d like! 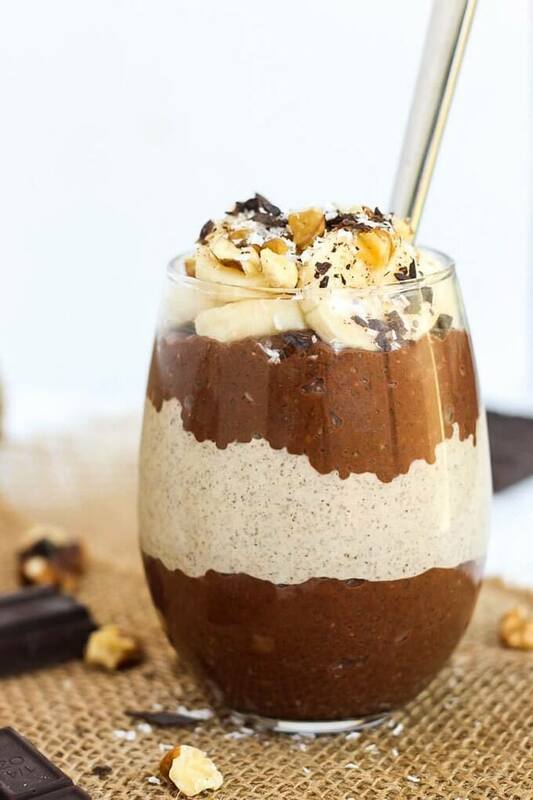 To have as a full meal I like to add extra protein, so I add a scoop of Vega performance chocolate, I also like my chia seed puddings on the thicker side, so you can adjust the amount of liquid to reach your desired consistency. Shoutout to Emilie!